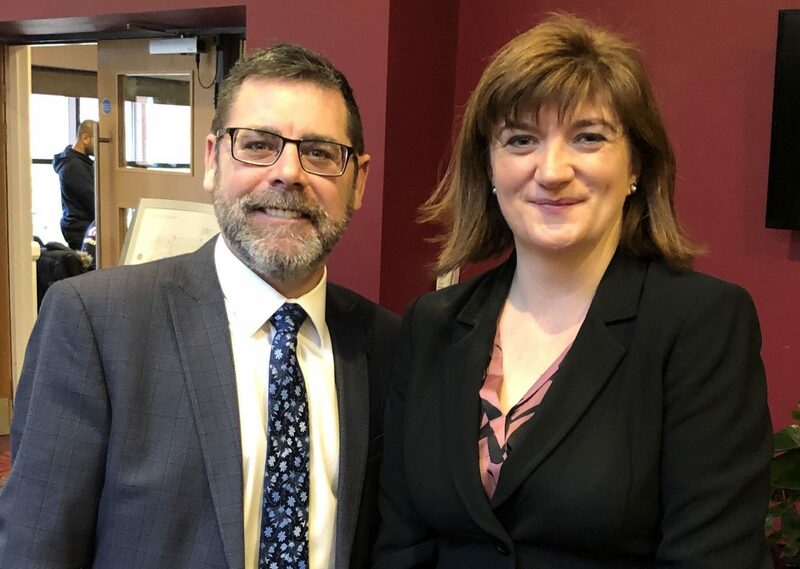 SR Timber Trading Director Shaun Revill joined business leaders to tell Conservative Nicky Morgan MP about the realities that businesses are facing as the uncertainty around Brexit continues. The group – which included the Confederation of British Industry (CBI), a high street bank and leading business figures – spoke to Mrs Morgan at the event at Loughborough University and expressed genuine concern about how Parliament and the government are handling what the MP described as a “political and constitutional crisis”. Shaun was quick to tell the MP for Loughborough about the case of SR Timber. Shaun took the opportunity to highlight the issue of British Standards. He told Mrs Morgan about the case of roofing batten and how there has been a rise in the amount of roofing contractors either knowingly using materials which are non- compliant with current British Standards, or are unwittingly purchasing materials that are counterfeit, in order to save money.